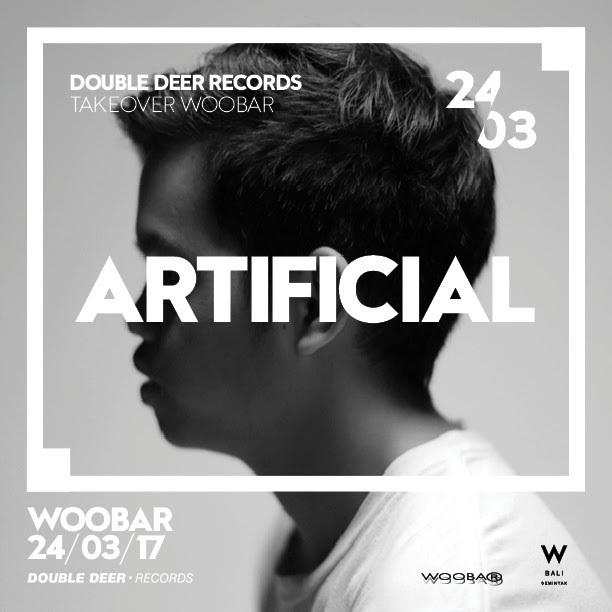 Jakarta-based Double Deer's CV includes the following: a record label, audio production, and digital music course, Double Deer are back at it again to Bali this March for two parties in a row. 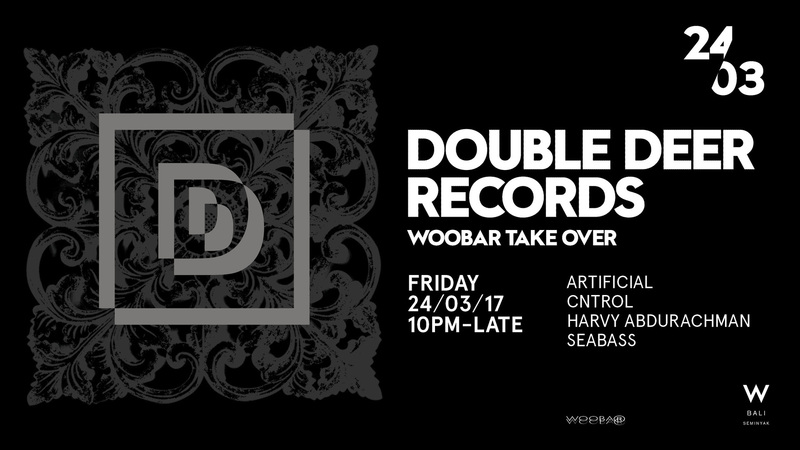 Following their last year's showcase, on March 24 2017 they, will take over Woobar, W Hotel, Seminyak, Bali for a party that starts at 10PM til late, with tunes provided by Artificial, CNTROL, Harvy Abdurachman and Seabass. 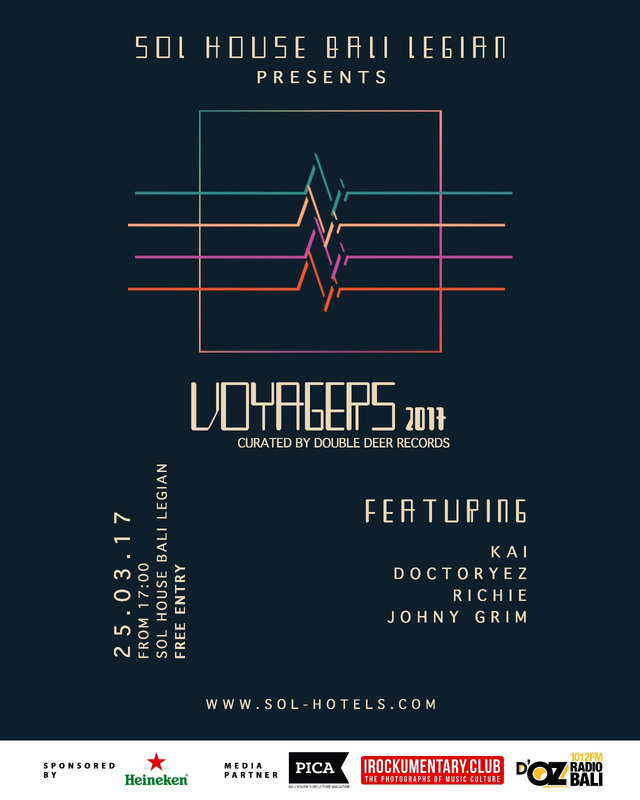 And on the next day, they are curating an event featuring Kai, Doctor Yez, Richie and Johny Grim for a sunset and midnight session at Playbar, SOL House Legian, Bali. Artificial is an electronic chilled indie dance project by Putra Fadhil who started off as a solo bedroom producer but now performs live as a band. His debut single 'S.A.L' was released in 2015 by Café del Mar, from his debut EP Solitary State which also features collaborations with musicians such as Greybox, Rayssa Dynta, Ben Sihombing and Rizkia Larasati. If you're wondering why he hasn't been releasing for quite a while, it's because nowadays he tends to find more satisfaction as a lecturer in Double Deer, and is currently more focused on his techno-led project with Al Ruslaan (Solune), called Mankind. 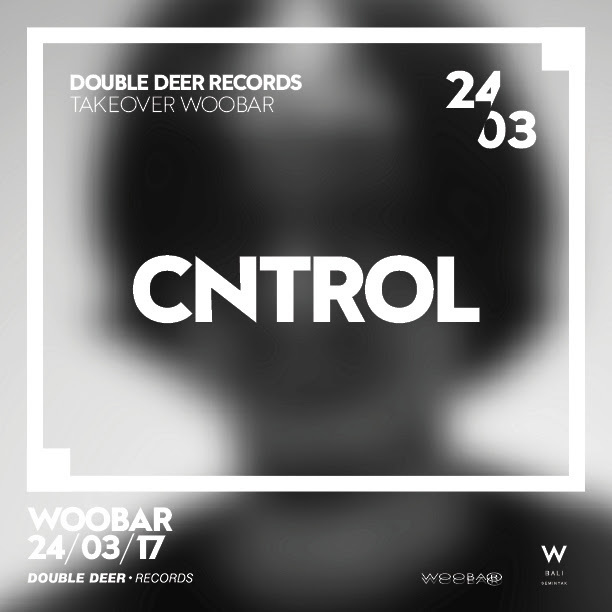 CNTROL is Adhe Arrio's musical moniker for his ear toward deeper and darker sounds. He is known for producing music for other emerging Indonesian recording artists, such as Neonomora, Febi Asga, Jemima Namura and Stereocase, just to name a few. He was invited to play in last years' gigantic Djakarta Warehouse Project in 2016. He's released his debut LP In Time in January. There is no doubt that he is a humbly prolific producer. He's even composing background score for the widely known eccentric director, Dimas Djayadiningrat's unannounced film projects. 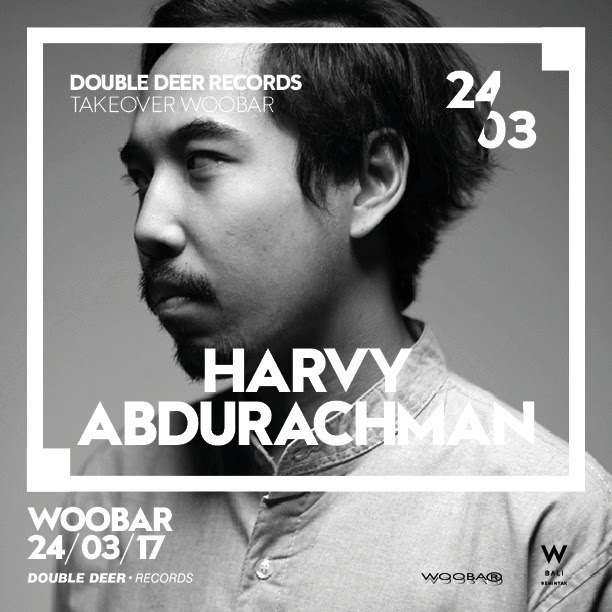 Harvy Abdurachman is a DJ & producer whose taste was shaped primarily from the disco era to underground house and techno music. He has been on the scene since early 2007. 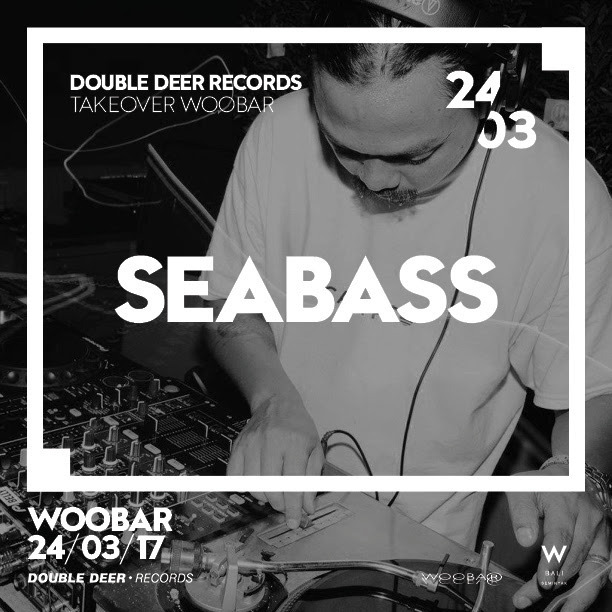 Besides one of the founders and lecturers of Double Deer, he is also the music director for Bonobo Event Space & Bar, Sudirman. Seabass is Sebastian Siahaan. This guy is an avid record collector and DJ based in Bali, he currently serves his residency at Potato Head Beach Club, Single Fin, & Old Man's. He's also on the roster with the PNNY collective. His eclectic music selections are inspired by soul, funk, disco, hip-hop, techno, warehouse raves and parties in Jakarta's underground scene. He's still the guy whose specialty is playing in selective parties -- ones that need to be either equipped with amazing sound system and or surrounded by the focused people. Kai, whose real name is Rizkyta Putra Pratisha is one of the founders of Tantrà Creative Space in Kerobokan. He is an underground music and scene enthusiast who evolved his musical journey through Balearic, electronica, minimal house and minimal techno. He has thrown parties where musical collectives that share the same vision gather to collaborate. Taking the island scene to another level is his true passion. Doctor Yez is Iman Hilman's musical moniker as a DJ and producer. He's armed with a passion and serious collection of reggae 7" original pressings. He formed one of the most celebrated parties in Jakarta with his chum, Iqbal Djoha called Fever Soundsystem, which is his more organic music output playing everything from vintage dance music to soul to rock to Jamaican tunes and the likes of it. Nowadays, you can find him on the roster of Calypso, playing selections that are more led towards four to the floor electronic body music. Johny Grim is Kurnia Joedawinata's alias as a DJ, seasonal bedroom music producer, and a famously creative visual artist. He was born in Bandung and graduated from Jakarta Institute of Arts (IKJ), he started performing and creating live audio and visual installations since the late 1990s using unconventional gears and materials. He has an undoubtedly wide musical knowledge and has been musically active as a DJ over the last four years, performing at various events and venues in Jakarta and Bali, namely theSAFEHOUSE, Fitzroy, Queenshead, KOH & Pretty Poison, just to name a few.